The typical tree species of the Gorontalo forests are the lingua, the nantu (Palaquium obtusifolium), the meranti (Shorea spp.) and the rattan. 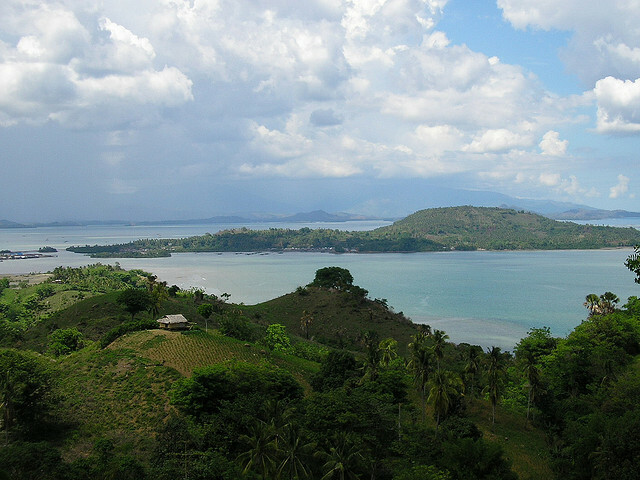 The image of the Teluk Tomini beach in south Gorontalo is enriched with several small islands. These uninhabited islands have white sandy beaches. Teluk Tomini is a scuba divers paradise. 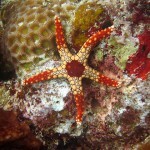 Since is located exacly on the equator, it has a varied marine life. We present you the top 10 attractions in Gorontalo for nature lovers including beautiful beaches, marine gardens, the Gulf of Tomini, the Ayuhulalo Falls, the lakes and hot springs of Gorontalo. The sight of the white sandy beach of Leato has a refreshing effect on the weary travelers. There you can watch the reparation process of the timber ships with conventional methods. The underwater world is especially interesting there: the great barrier reef in Gorontalo, the special fishes and a sunken ship attracts the divers. The coast lies at North Leato, at 12 km from the city center. The beautiful Boalemo beach with soft sand and clear water is one of the top 10 attractions in Gorontalo for nature lovers and is a perfect place for relaxing, swimming, boating and scuba diving as well. Pine and coconut palm trees are lined on the coast. There you will also find some luxury resorts as well. On a substantial part of the Bolihutuo coastline grow giant pine trees, therefor the beach has a cool and pleasant atmosphere. The coastal white sand only enhances the beauty of the place. Villas can be rented nearby. The Olele Sea Garden offers unique attractions for nature lovers. It is the closest diving coast to the town of Gorontalo, lying at 45 minutes from the town. 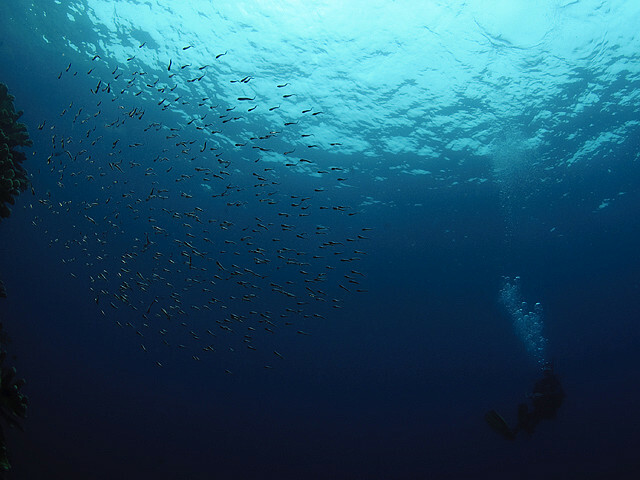 The under water world of Olele is a paradise, its stunning beauty is recognized by many skin-divers of the world, this demonstrates the large number and the enthusiasm of those arriving here. Nearby is an another diving site, the Lahilota coast. The Bitilia Marine Garden awaits the nature lovers with a beautiful underwater scenery . It takes 15 minutes from the Boalemo Indah beach by car. The beauty of the the Gulf of Tomini in Gorontalo around the Tangga 2000 and Lahilote footprint is directly noticeable. Shops and resorts await the visitors. In the afternoon the shade of the coconut palm trees offer a cooling space. 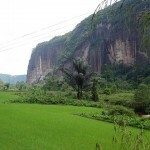 On the Indah Pohe coast, in the Kota Selatan district, is a footprint -shaped rock, the Lahilote. According to the legend is the footprint of the man who married a fallen angel. The Ayuhulalo Falls are located near the picturesque village of Ayuhulalo in the district of Boalemo. The cooling evergreen forests of the area and cool water of the waterfall is waiting for those who wante to refresh. 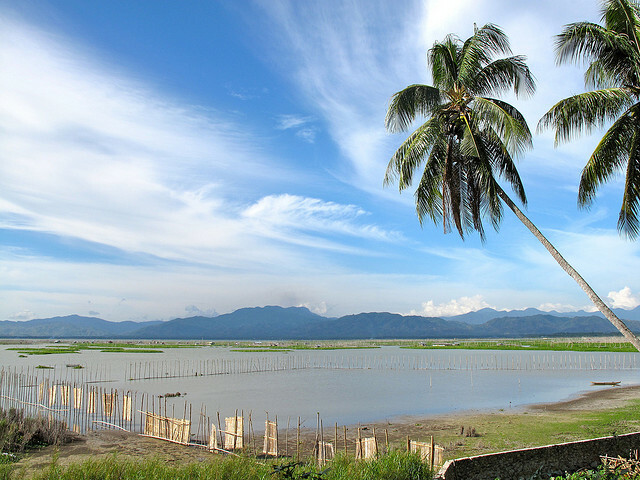 The artificial lake of Potanga is located at about 4 km from the city center of Gorontalo and it is an important attraction for nature lovers. It is fed by a natural mountain spring and awaits its visitors with clear and cool water. 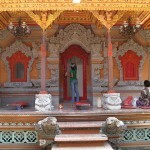 The actual gate of the Limboto Lake area is the village of Illuta located at 10 km away. The special feature of the lake is the freshwater fish diversity found in its waters. The Pentadio resort is located on the north coast of the Limboto Lake, at 12 km from Gorontalo and offers full spa service, beach bungalows, a swimming pool and a hot spring to its visitors. A natural hot spring and a spa is located in the village of Lombongo, in the Suwawa district, at 20 km from the city of Gorontalo. The water of the spring feeds hot and cold swimming pools, but there you also find playground and a stage for cultural performances. The hot spring contains sulfur, therefor it is used for the cure of various skin problems.